These days, David Lynch’s Twin Peaks is one of the revered shows in television history, but back when it debuted in 1990, it was just another (well, still revered) evening soap opera starring a group of young hotties that were bound to hook up with each other. But as is always the case when you mix sexual attraction and work, things, like the Twin Peaks lumber mill, can easily blow up in your face. 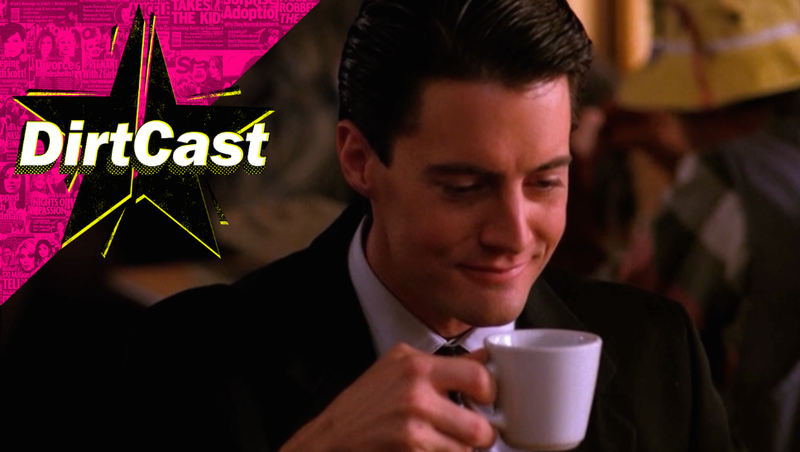 So was the alleged situation when Kyle MacLachlan (Agent Dale Cooper) began dating Lara Flynn Boyle (Donna), a tumultuous romance that our Culture Editor Julianne Escobedo Shepherd (a Twin Peaks super fan) and I explore at length in this week’s episode of DirtCast. According to some cast members, the relationship took its toll on Twin Peaks in Season 2, a time when the show was already struggling because of interference from ABC and Lynch’s increasingly limited involvement. It’s also one rumored reason why Boyle didn’t participate in Twin Peaks: Fire Walk with Me (she was replaced by actress Moira Kelly). Some say that Boyle didn’t want to work with MacLachlan after the pair split up. Next, we discuss Michael J. Anderson, the actor who played the Arm/Man from Another Place, and his recent debut as an alt-right Facebook personality who hates Twin Peaks and David Lynch; Anderson has even gone as far as to sort of accuse the auteur director of murder. Later in the episode, I quiz Julianne by having her match David Lynch film actors with their perfectly manicured eyebrows (what is it with their eyebrows?! ), something she did with such ease that I was both impressed by her skill and ashamed that I didn’t make a harder quiz. Why Are Keeping Up with the Kardashians Viewers Bailing in Light of Very Real Tragedy?